This page is meant to provide an overview of how different sound devices for IBM-compatible PC systems perform with music from DOS-era games, both for historical purposes and as an aid for people who consider buying used sound hardware. - The file format should be MP3, 128kbit/s (CBR or VBR of similar quality), preferably using the LAME or Fraunhofer encoder. Please contact us before sending any recordings. Stefan Göhler for permission to use some images from his excellent article about the history of sound hardware for IBM-compatible PC systems. Michael Huth for providing Gravis UltraSound and Dream samples and the AWE32 Sam&Max "Highway" sample. 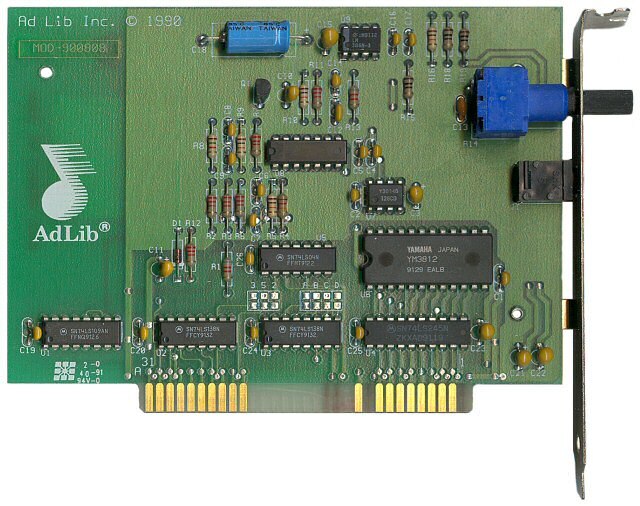 1 The Adlib samples were recorded using a Sound Blaster AWE32 and thus might sound slightly different from an original Adlib card using the actual Yamaha YM3812 (OPL2) chip. When available, the "OPL3" (stereo) option was used. 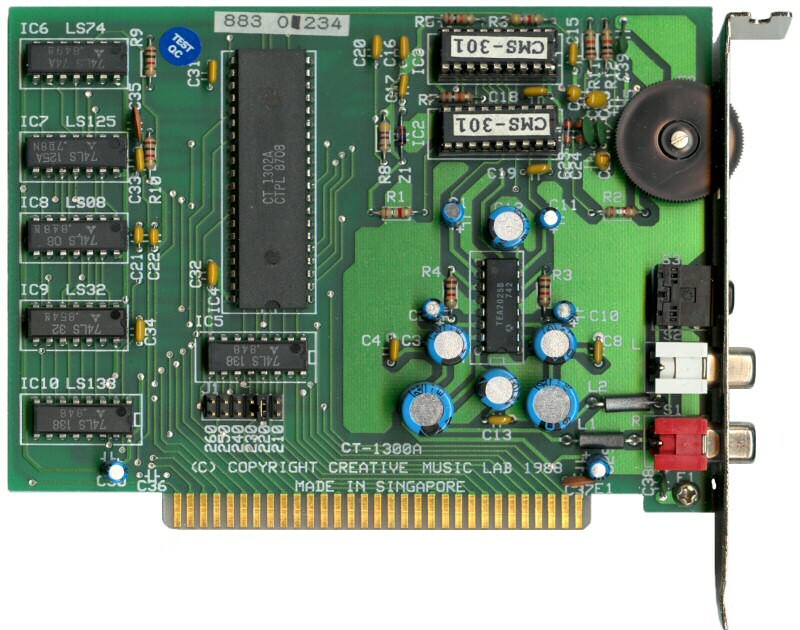 2 The Game Blaster samples were recorded using a Soundblaster 2.0 with CMS chips. 3 The Gravis UltraSound samples were recorded using a 1 MB GUS. Lost Vikings was recorded using "megaem -gm". 4 The Dream SAM9407 samples were recorded using a Guillemot Maxi Sound 64 Home Studio with 4MB of sample ROM and the default equalizer settings. 5 Monkey Island on the Yamaha DB50XG was recorded using bank 127 of the DB50XG's TG-300B mode, which offers an instrument layout compatible with the MT-32. 6 Lost Vikings on the AWE32 was recorded using "AWEUTIL /EM:GS". 7 X-Wing CD regrettably uses an inferior MT-32 soundtrack (compared to floppy version) possibly converted from the General MIDI soundtrack. For reference better use the floppy version MT-32 recording. 8The X-Wing SC-55 sample was recorded using SCC-1 and X-Wing floppy version. 9The MT-32, CM32-L and LAPC-I are not compatible with the newer General MIDI standard. Roland has provided a MIDI file containing SysEx messages that will reconfigure these synthesizers to make them somewhat compatible with GM: Roland SysEx files for LA synthesizers.MTGM.MID needs to be sent to the synthesizer using a MIDI player capable of sending SysEx messages. This method was used for recording DOOM, Descent and Tyrian on the MT-32. 10Pinball Dreams Deluxe was chosen as a showcase for the Gravis Ultrasound. 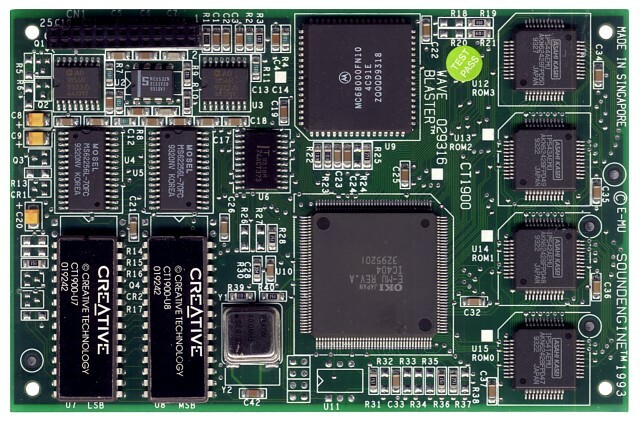 The Ultrasound's GF1 processor can play up to 32 channels mixed in hardware and interpolates each sample up to 44.1khz / 16 Bit. 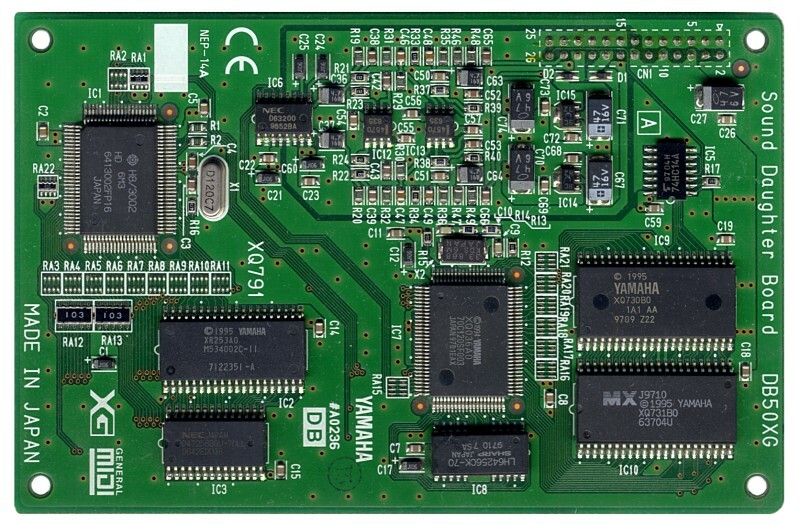 A typical Sound Blaster or similar sound card could only output two (stereo) channels at a time. This makes the GUS excel with software that uses MOD/"tracker" style music since its hardware acceleration saves CPU resources while producing a better sound quality compared to the software mixing algorithms of the DOS era. It is also notable for being the preferred (and sometimes only) device for audio playback in demo scene productions of the time. Queststudios – excellent resource for game music (especially Sierra) and synthesizers. Vogons – English discussion forum about retro games and hardware.